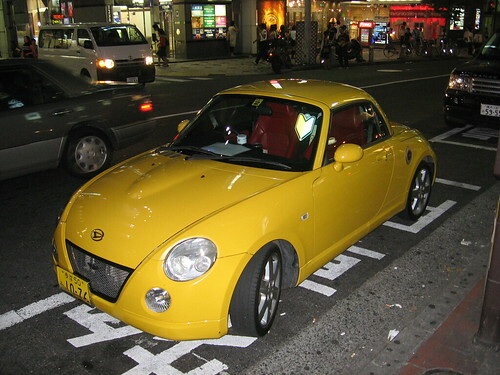 Kei car (K-car) (軽自動車, keijidōsha? ), is a Japanese category of small automobiles, including passenger cars, vans ("microvans") and pickup trucks. They are designed to exploit local tax and insurance relaxations, and are exempted from the requirement to certify that adequate parking is available for the vehicle. These standards originated in the times following the end of the Second World War, when most Japanese could not afford a full-sized car yet had enough to buy a motorcycle. To promote the growth of the car industry, as well as to offer an alternative delivery method to small business and shop owners, Kei car standards were created.